To ignite young minds to think of creating new useful things out of the old and not so useful junk. To find the useful parts inside a broken part. To think of joining the broken parts and making a new thing out of it. To learn the functions of various parts for example: motor, wheels, batteries, fan etc. National Innovation Council’s Tod Fod Jod initiative is an effort to revamp the pedagogical system. 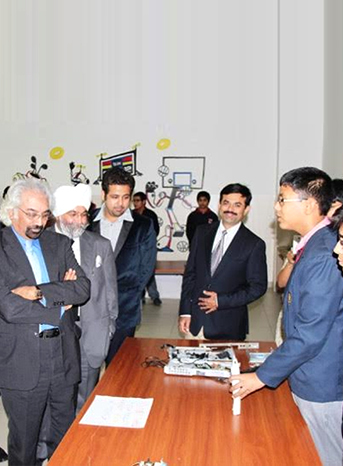 It aims to foster an innovative mindset and encourage hands-on- learning at an early stage of student life. Through Tod Fod Jod scholars understand concepts and their applications by de-constructing and re-constructing objects around them.